Nearly $400,000 in missing American Legion funds and a speed bump in the effort to bring a new car dealership to town were among the items discussed at Monday night’s meeting of the Columbia City Council. The national title company that served as the underwriter for Metro East Title in Columbia filed a federal complaint last week against MET and its owners, Marvin and Karen Steinke. WFG National Title Insurance Company accused MET on 10 counts including breach of contract, two counts of fraud and unjust enrichment. WFG claims MET in July 2013 failed to pay more than $76,000 to Wells Fargo to pay off a mortgage as part of a property purchase of a couple in St. Clair County. According to the complaint, a check drafted on Metro East’s escrow account for the purchase was returned for insufficient funds. Then in August, WFG claims MET failed to transfer $385,000 paid by the city of Columbia into an escrow account to the Columbia American Legion to satisfy the purchase of Legion Park grounds by the city. MET abruptly shuttered its Columbia office and the Steinkes’ Millstadt phone number has been disconnected. Marvin and Karen Steinke are heavily involved with mission work in Honduras through a charity they started, and according to Marvin Steinke’s Facebook page had been planning a trip there this fall. Columbia city attorney Terry Bruckert told the council that due to recent developments in the case, “it is now up to the American Legion to decide how they want to move forward,” and added the city will provide any assistance they can. Local and federal authorities continue to investigate the case and the Steinkes. The council voted 6-2 against two sign variance requests by Bob Brockland Buick GMC for a new auto dealership to be built at 580 Old State Route 3. The requests would have allowed a sign that was more than twice what the current ordinance allows for height and square feet. “Visibility is extremely important,” said Bob Brockland Sr., who was in attendance at the meeting. The monument-style sign allowed for in the ordinance “would be more than enough for Main Street,” Brockland said. But he added that his location in a commercial district north of town has low visibility from I-255, which the majority of his customers will be traveling to get to Brockland. The dealership will be located across the street from George Weber Chevrolet, which sits along I-255. Alderman Jim Agne offered a compromise of sorts — granting a variance to install a sign that rises 28 feet from Route 3. “That little bitty sign isn’t going to be visible,” Brockland countered. He added that he was “shocked at the vote” and said, “I’m going to review all of my options,” prior to leaving before the discussion ended and a second vote took place. 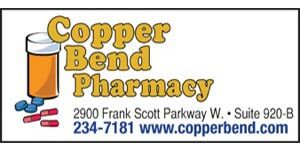 Both sign variances had previously been recommended for approval by the city’s Street Graphics Committee. The council also approved charging local organizations seeking permission to hold events that require closing Main Street a maximum $500 fee to cover the costs the police department incurs to provide support. In the event the charges are less, the organizations will not be required to pay the full amount. If charges are greater, the city will absorb the costs. City engineer Ron Williams updated the council on several street projects in the city. Work on Cherry Street is moving along. “I would bet that project would wrap up, weather permitting, in two weeks,” Williams said. The Valmeyer Road bridge is also set and the bridge rail is going on this week. Work on the slide on Valmeyer Road west of the new bridge as well as the Main Street Streetscape project were both slated to get under way Tuesday. 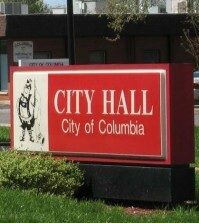 For updates on the projects and time lines, visit the city’s website, www.ColumbiaIllinois.com. Click on Community Resources then Project Updates.